Four Corners Animal Hospital is a full-service hospital providing comprehensive medical, surgical and dental care for veterinary patients. The hospital is architecturally designed to meet current medical therapy and husbandry in veterinary care. Specialty services include dermatology, cardiology, soft tissue surgery, orthopedics, dentistry, radiology, ultrasound, and laboratory testing for blood, urine, and feces. We provide air-conditioned boarding with indoor runs for dogs, and cat condos. Four Corners Animal Hospital has state of the art equipment enabling us to provide a high standard of medical care. 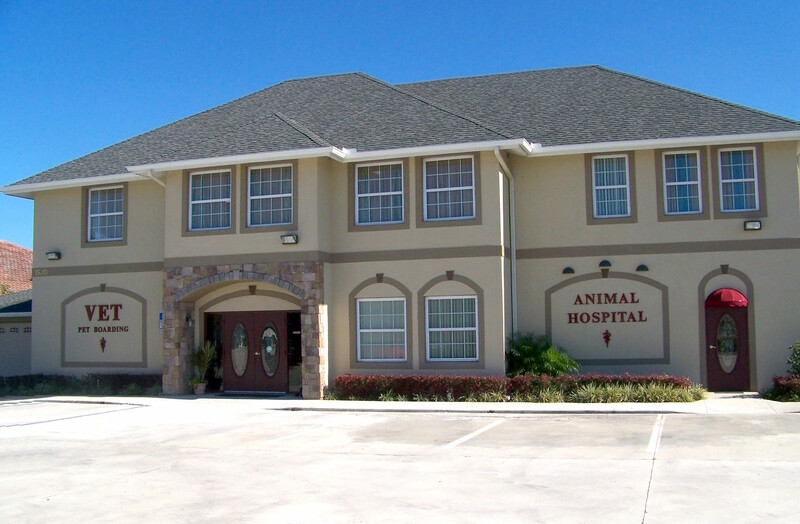 We are proud of the services offered to our patients, the loyalty of our clients, and our reputation as one of the better veterinary hospitals in the area. We hope you would trust us to provide veterinary care to your beloved pets. Site Disclaimer Neither the FCAH, owners, agents, officials, employees, or volunteers warrants the accuracy, reliability, or timeliness of any information in this web site and shall not be liable for any losses caused by such reliance on the accuracy, reliability, or timeliness of such information. Portions of such information may be incorrect or not current. Any person or entity who relies on any information obtained from this web site, does so at his or her own risk.